You will find it easier to make it happen if you make it routine. Try to workout at the same time everyday. A morning workout will actually serve you best. You’ll experience higher energy levels, more mental clarity, and increased metabolism for 12 to 24 hours. And people who exercise in the morning as opposed to the evening generally sleep better at night. All bias toward morning workouts aside, the key is working out whenever you can. Even if your schedule changes, choose a consistent time like before work, or before you pick up the kids, or at lunch for your fitness plan. 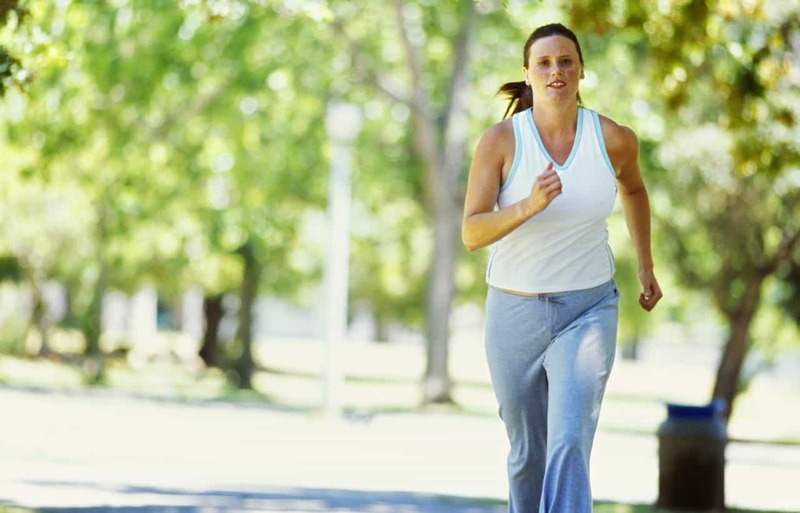 The federal government recommends 2 1/2 hours of moderate-intensity activity per week. Apparently they consider walking a moderate-intensity activity. Really? So if we all walk just 21 minutes a day we’ll pass muster? Hardly. I do like their 2 1/2 hour recommendation. They just need to change the activity description. Jogging, biking, rowing, or speed-walking all serve as better descriptors. We all should walk as much as possible. All the recent studies point to an early death for those who sit for prolonged periods. So, yes, walk. But you must elevate your heart rate to really burn fat. Again, choose a duration that you can sustain. You really don’t need to stay in the gym for more than an hour for most fitness goals. What do I mean by rotation? A few things. If you’re like me, you’ll soon dread going to the gym if you have to do treadmill intervals for 45 minutes straight four days a week. So mix it up. You can achieve the same heart rate elevation and calorie burn on the bike, the row machine, the elliptical, or in the pool. If you’re training for a sport or an event, that’s different. But if you have a more general health goal, vary your routine. It will also prevent your body from adjusting and minimizing the effectiveness. Also, you must incorporate strength training. I did say “must” (in bold letters). It’s important if you’re 20 and even more important if you’re 80. At the bare minimum, twice a week will help. You’ll experience faster results and greater benefit with more. But you’ll want to rotate muscle groups each day. For years I would work chest and triceps one day, back and biceps the next, and legs and shoulders the third day. This allows recovery time for trained muscles. More detail on all of this later. And more specifics to come tomorrow. I really like it a lot! You write well and your message is important. The timing is perfect. I am once again recovering from foot surgery (10/2) and I have found this to be very uplifting and motivating- so much so I took a little break and did a few core exercises and push-ups. Thanks!